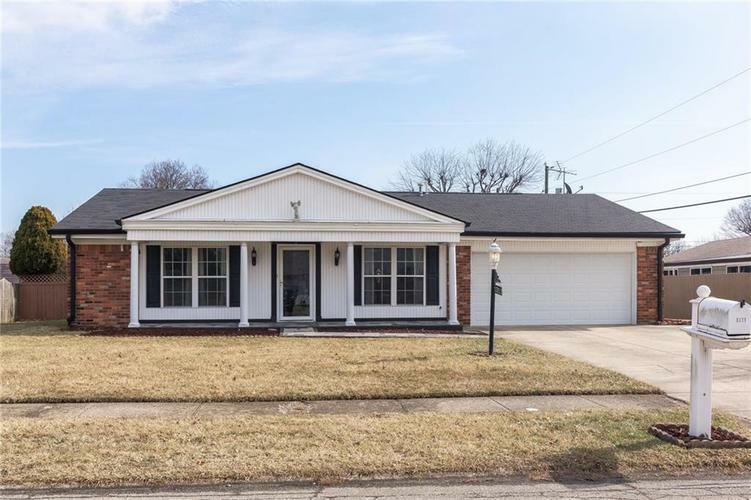 Great ranch style home with so many updates!! Check out the new flooring, updated bathrooms and kitchen with granite countertops. Special wall treatments in dining and master bedroom give this home a stylish flare. But wait--there's more!! An awesome recreation room that sports a pool table (included in sale) for fun with family and friends aaaaand a hot tub on the screened sun porch! And to top it off there is a gorgeous in ground pool that comes with supplies and equipment. New furnace, air conditioner and water heater, tons of built in storage in the garage. Can you seriouslly pass this up?!?? Just move in and enjoy!! Directions:Shadeland & 10th street, Go east on 10th to Franklin, North or left on Franklin to 13th Street, Turn Right or East on 13th to Goldenrod, turn left to home on Right. GPS will get you there.